A day of workshops, masterclasses and an evening concert. A day with the students and performing our jazz programme, Onyx Noir. Onyx Brass perform at the Bradfield Festival of Music. Performing John Rutter’s Gloria with the Chapel Choir of St George’s. Concert to celebrate the launch of our Jazz Project Recording, Onyx Noir. Programme to include music by Gwilym Simcock, Kenny Wheeler, Trish Clowes, Mark Nightingale, Laurence Cottle, Guy Barker and Mike Walker. Official launch gig for our jazz composition/recording project, Onyx Noir. We will be performing alongside composers from the disc, Trish Cowes, Laurence Cottle and Jason Rebello. Concert to launch the group's latest recording project, Fanfares. School workshops for the Year of Brass Project by Jackdaws Music Education Trust. A day of workshops for the Year of Brass Project by Jackdaws Music Education Trust. Concert with the students of Kings of Wessex and Fairlands Schools. Sponsored by Cheddar Valley Music Club. Tickets £2 Adults, 50p children available on the door or text 07823 537386 and with ticket request and contact details. A day of school workshops for the Year of Brass Project by Jackdaws Music Education Trust. Onyx Brass join forces with the local school choirs to give a Christmas Carol concert. Onyx Brass perform as part of the London Chamber Music Society's season at Kings Place. Onyx visit the Romney Marsh for the JAM on the Marsh Festival, for a FREE performance featuring the primary school children of Romney Marsh. An afternoon of workshops and master classes with the pupils. Onyx join forces with Vale of Glamorgan Festival for public space performances throughout the day prior to an open-air showcase concert at the stunning Eastern Shelter on Barry Island. Programme to include beautiful arrangements of Bach and Shostakovich Fugues plus some Romantic Piano music by Brahms. Onyx will be showcasing some brand new jazz commissions to add to a lighter second half which will also include some jazz standards arranged for brass quintet. This lunchtime programme swings from the grandeur of Bach to the smooth melodies of Mark Nightingale – opening and closing with something really spectacular: two recently discovered fanfares, played by the massed forces of Onyx and the Royal Welsh College Brass. Schumann arr. Miller - Selections from "Kinderszenen"
Copland arr. Hollings - Dance Episodes from "Rodeo"
Onyx Brass perform for the Univeristy of Sussex graduation ceremonies. Performing Opening Night by Tim Jackson. Part of the Singing Playgrounds project. Onyx perform in a concert for the John Armitage Memorial, including works by Thea Musgrave. St. John Baptist, Church Lane, BS25 5QW. Onyx Brass finish their Churchill Music residency with a concert at St. John Baptist Church. Onyx Brass perform as part of the International Concert Series. Onyx Brass perform a masterclass, workshop and recital. Onyx Brass perform a lunchtime concert and will follow that with a workshop with local school children. Onyx Brass undertake two workshops with the school children and an evening recital at 7.30pm as part of the International Concert Series. Onyx Brass perform with the BBC Singers as part of a 60 minute performance based around Dylan Thomas' book 'A Child's Christmas in Wales'. Onyx are joined by baritone Mark Stone for a programme including songs with brass accompaniment. Onyx Brass visit Cavendish Hall, in the beautiful village of Edensor ("Ensor"), next to the Chatsworth Estate. Imperial College Lunchtime Recital in Holy Trinity Church, Prince Consort Road. Onyx Brass work with the students of Ardingly College and give an evening concert with the college choir. 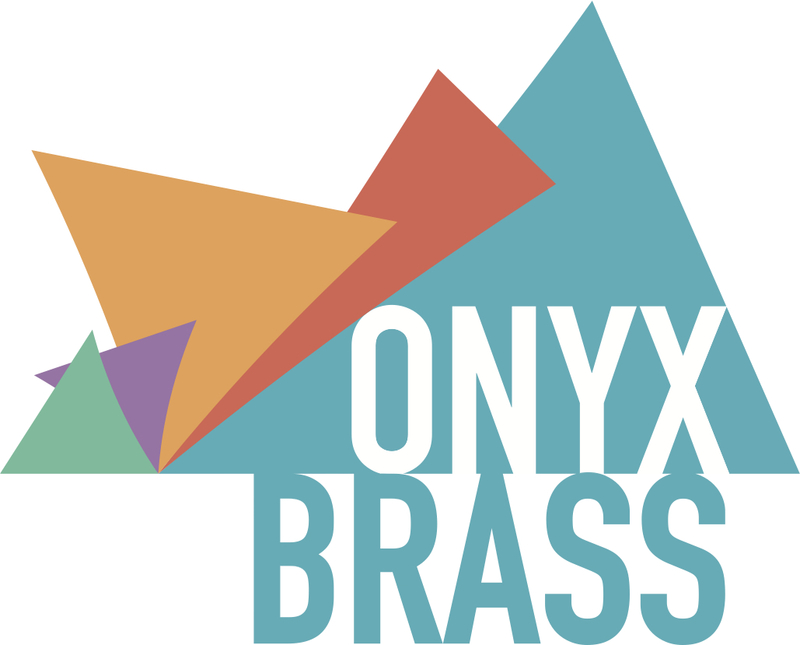 Onyx Brass return to Music in the Round to perform a midmorning concert for children aged 5+. Onyx Brass perform the world premiere of Tim Jackson's piece for primary school choirs and brass quintet. Part of JAM's summer schools workshops. Onyx Brass open the 2015 Bradfield Festival of Music! Onyx Brass perform Tim Jackson's new education piece during JAM's summer schools workshops. Onyx Brass present a varied and exciting programme with music from the time of Shakespeare to the present day, including music by Gabrieli, Bach, Couperin, Brahms and Kenny Wheeler. Onyx Brass present a varied and exciting programme alongside brass students of the Cheddar Valley Music Club. Tickets available from 07823 537386 or on the door. Onyx Brass workshops with Cheddar Valley Music school. Onyx Brass lead workshops at school in Cheddar prior to their evening concert at The Kings of Wessek School that evening. Tickets for evening concert available from 07823 537386 or on the door. Including a pre-concert talk with Onyx Brass at 6.45pm. Shostakovich Fugue in A flat major. Onyx perform in a concert for the John Armitage Memorial, dedicated to new music for brass, choir and organ. Onyx Brass perform as part of 'A Feast of Choral Music with Brass & Organ'. Onyx Brass visit the Clacton-on-Sea Arts & Lit Society. Onyx Brass perform a special preview concert of their upcoming Meridian alum, On an Overgrown Path. Onyx gives an evening recital at Bradfield College, including several Handel anthems with the school choir. Onyx performs a concert for prep schools around Bradfield College. Enjoy a bit of Christmas Spirit after work in the City. Come along and join in with all your favourite carols, accompanied by the fabulous Onyx Brass. Enjoy a bit of Christmas Spirit during lunch break in the City. Come along and join in with all your favourite carols, accompanied by the fabulous Onyx Brass. Onyx Brass accompany seasonal favourites at a charity carol service for Grocery Aid. Onyx Brass join Laudate choir (dir. Howard Ionascu) for a Christmas concert in aid of the St. George's Hospital Kidney Trust. Onyx join The City of Oxford Orchestra for their annual Christmas Concert in Oxford's beautiful and historic Sheldonian Theatre. Two players from Onyx Brass perform a new work by the winner of the BASCA Young Composer Competition during the British Composer Awards ceremony in the beautiful Goldsmiths' Hall. Part of Onyx Brass' residency at Imperial College. Programme to be confirmed. Onyx Brass visits Colchester, giving an evening concert as part of the Roman River Festival. J S Bach (arr. Maynard): Chorale Prelude on "Nun Komm Der Heiden Heiland"
Onyx Brass visits Colchester's Roman River Festival, providing suitable musical accompaniment to a guided walk bringing Colchester's ancient buildings to life! Onyx's Tour de Brass! visits the North West, with two performances as part of the Liverpool International Music Festival, as well as short recitals in Widnes and Chester. All the stops on the Tour de Brass! are FREE and unticketed, so come along and hear some brand new and exciting music for brass quintet, out in the open. The Tour de Brass! visits Glasgow for the second New Music Biennial festival performance. Onyx perform their NMB commission "Bronze and Iron" by David Sawer, out on the steps of the concert hall, along with discussion about the piece. Onyx perform a concert of new music for brass and organ in Hythe, with the John Armitage Memorial. Onyx Brass provide the music for the 2014 Graduation Ceremony of students at St. George's London. Onyx perform a concert of new music for brass and organ at the City of London Festival, with the John Armitage Memorial. Onyx Brass' second day of Tour de Brass events in the North East includes participating in the Streets of Brass event, organised by Brass: Durham International Festival. Dozens of brass groups will be performing for FREE outside in the Durham City Centre, and so this is a great chance to hear Onyx as well as plenty of other talented musicians. For more information on precise timings, visit the notice boards in Millennium Place (Gala Theatre) in Durham. The Tour de Brass visits Sedgefield as part of BRASS: Durham International Festival. Two short playing sessions with some time inbetween to give the audience a chance to learn about the instruments in Onyx Brass, and the music that they play! Onyx Brass give an evening recital at historic Auckland Castle as part of BRASS: Durham International Festival. As usual, the concert will feature a mix of favourites, classics and new works and arrangements, including the world premiere of Jason Rebello's "Inevitable Outcome". Onyx Brass' visit to the North East begins with a FREE interactive lunchtime concert as part of the Hub Youth Music Festival in Barnard Castle. There'll be lots of groups performing, but Onyx is on at 2pm. Onyx Brass perform at the degree conferment ceremonies of the University of Sussex. Onyx gives a final outdoor performance of the day, on the riverside. Onyx performs David Sawer's new commission "Bronze & Iron" as part of the New Music Biennial festival at the Southbank Centre. The group will play through the piece, then there will be opportunity for discussion and questions with the group and the piece will be played through again. Onyx performs a selection of repertoire by the London Eye in the Jubilee Gardens on London’s Southbank. Onyx gives the opening performance of the New Music Biennial Weekend at the Southbank Centre, performing fanfares on the riverside. Onyx Brass visit the Beaminster Festival for a lunchtime recital. Onyx records a new CD for Hyperion of music by Parry. Onyx Brass joins a host of Welsh singers and players, including Daniel Cook (sub-organist at Westminster Abbey) for a concert as part of the St. David's Cathedral Festival. Giles Swayne: The Yonghy-Bonghy Bo. c.1745: BBC Radio 3, LIVE on In Tune. Onyx's "Tour de Brass!" continues with a day in East Anglia! These short concerts in public spaces are FREE and unticketed. Onyx Brass return to the Mayfield Festival with a concert of Onyx favourites, as well as some new arrangements, including two pieces by Brahms from their forthcoming CD! Onyx visit the Crwth Chamber Music series in Swansea. Onyx continue their Scottish tour with a concert at the Institute in the historic village of New Lanark. The programme will include music from Gabrieli to the present day, including some new arrangements of Brahms piano and organ works, written especially for the group, as well as works commissioned by Onyx from composers they have enjoyed working with over their 21 years at the top of the international brass chamber music scene. Onyx premieres "Bronze and Iron" by David Sawer, the Tour de Brass! commission. Onyx perform a varied programme of music from Gabrieli to the present day, including Brahms piano and organ works, newly arranged especially for Onyx. Onyx Brass give a workshop for students at Lanark Grammar School ahead of their concert in Lanark on Saturday night. Onyx Brass perform for the John Armitage Memorial at the spiritual home of the the UK's media, St. Bride's church on Fleet Street. Onyx perform a free lunchtime concert at Imperial College - where they are Ensemble-in-residence. Onyx Brass performs at Sherborne School. Onyx Brass give an informal, fun, and interactive concert for primary school children in Bermuda. Onyx Brass perform a concert featuring works by Bach, Brahms, Holborne and Jackson, as well as a possible world premiere from jazz composer Kenny Wheeler. This concert also features a large-scale work including everyone who participated in the workshops the previous day, as well as a work for Onyx and some of the more advanced students. Onyx Brass talk about their career at the top of the brass music scene, what it's like playing and travelling together, their solo work and anything else the audience asks! Onyx Brass lead a workshop for amateur brass players in Bermuda. Later in the week, participants will join Onyx on stage as part of a concert performance. Onyx Brass lead a workshop for young brass players in Bermuda. Later in the week, participants will join Onyx on stage as part of a concert performance. Onyx play their first concert of the year for West Wight Arts Association, in Freshwater. The light programme includes pieces by Berlioz and Copland, as well as Rossini's famous overture to "William Tell". Onyx Brass play carols for workers, tourists and anyone who wants to turn up and join in! Onyx play seasonal music and carols for the Caravan charity Christmas concert. Onyx join The City of Oxford Orchestra for their annual Christmas Concert. Onyx Brass join the BBC Singers for a LIVE broadcast concert of Christmas music from St. Paul's, Knightsbridge. The programme will include choral music with brass accompaniment, as well as some solo items for Onyx. Tickets will be available soon from the BBC's website, and listeners around the world can tune in to BBC Radio 3, or listen via the iPlayer. Onyx Brass present a concert at Birmingham University's Barber Institute of Fine Arts. They will be joined on stage by students from the University and Birmingham Conservatoire that have taken part in a coaching session for Onyx during the day. Onyx Brass join Lewisham Choral Society for a programme of Rutter and Jongen. Onyx Brass join JAM and the Exon Singers for a concert of new and 20th Century music in Tavistock Parish Church, including a solo performance by Onyx in the second half. The culmination of workshops with school in the area, Onyx Brass come together with primary schools from the Romney Marsh, Hythe & Folkestone to perform Bob Chilcott’s fantastic and entertaining A Sporting Chance. Weight lifting tubas will be chased by sprinting trumpets, and an ice-skating trombone will slither its way through this fantastic work for children and brass. During this amazing concert for all ages, Onyx will also play works by Bach, Ives and Handel… along with some rather curious additions! Onyx Brass provide music for the graduation ceremony of St. George's Hospital, University of London. Congratulations, Graduands! Onyx Brass provide music for the graduation ceremonies of the University of Sussex - Congratulations, Graduands! Onyx Brass join the BBC Singers and conductor Nicholas Cleobury for a concert presented by JAM and featuring a new work for Organ, Brass and Choir by Paul Mealor, whose setting of "Ubi caritas et amor" was heard by millions when it was sung during the wedding of Prince William and Kate Middleton. He later wrote the chart-topping "Wherever you are" sung by Gareth Malone's Military Wives Choir. His new substantial work "The Farthest Shore" is the centrepiece of this concert. Onyx Brass: "Gabrieli to Gershwin"
Onyx Brass perform for JAM July, serving up great pieces for brass including Renaissance Canzonas, contemporary comissions, and Gershwin's greats. Onyx Brass perform their popular "Golden Age" programme, featuring music from the Italian Renaissance, through the majesty of Bach, to pieces written especially for the group, including Cheryl Frances-Hoad's "The Madness Industry". Tickets cost from £15, and are available from the Wiltshire Music Centre's website: http://www.sjt.uk.com/details.asp?id=810 where you can also find more information about the concert. There are FREE tickets for U25s, thanks to the generosity of the Cavatina Trust, and which are available by quoting "Cavatina Trust" when you call the Box Office. Onyx present a fun and interactive concert especially for families with children, featuring extracts from well-known and well-loved pieces, as well as a chance to learn all about the shiniest and loudest musical instruments on stage! Tickets are only £6 for children, and £10 for adults. Onyx Brass play their popular "Golden Age" programme at the Stephen Joseph Theatre in Scarborough, as part of Music in the Round. There will be an informal pre-concert talk with members of the group, and a chance to ask questions, at 6.30pm. Onyx Brass will work with primary schools from the Romney Marsh, Hythe & Folkestone to perform Bob Chilcott’s fantastic and entertaining A Sporting Chance. Weight lifting tubas will be chased by sprinting trumpets, and an ice-skating trombone will slither its way through this fantastic work for children and brass. Onyx Brass present a programme centred around the intimate and focused Well-Tempered Clavier fugues and their descendants by Shostakovich, the programme stretches back from the world premiere of Jacques Cohen's Concertino to the Dance Suite from Elizabethan composer Anthony Holborne. There will be a pre-concert talk at 2.10pm: Onyx Brass talk about their 20 years at the top of the international brass chamber music scene. Onyx Brass give a pre-concert talk about their 20 years at the top of the International Brass Chamber Scene, and then perform their popular programme: Music from the Golden Age. Janacek - Pieces from "On an Overgrown Path"
Onyx Brass perform with Laudate choir, directed by Howard Ionascu. Onyx Brass play their favourites, and after the interval join Ashford School pupils to perform John Rutter's "Gloria"
Onyx Brass perform at the home of Music in the Round, with their "Golden Age" programme. Pre-Concert Talk: 6pm - Onyx discuss more than 20 years of playing together. Ives arr. Howey Variations on "America"
Ives arr. Howey - Variations on "America"
Copland arr. Hollings - Three Dance Episodes from "Rodeo"
ONYX BRASS Lunchtime Concert - "A Sporting Chance"
A performance with the John Armitage Memorial, for brass, organ and choir. With St Davids Cathedral Choir, Simon Pearce and Daniel Cook. A wonderful programme including the London premiere of a new commission by Andrew Hamilton and the UK premiere of a work by Hans Abrahamsen, plus music from Onyx's two latest CDs, Canite Tuba and Time to Time, featuring baritone Mark Stone making a guest appearance. ONYX BRASS tour Ireland and Northern Ireland. A mixed programme from the renaissance to today, including a new commission from Irish composer Andrew Hamilton. Gabrielli & contemporaries, part of the Sheffield University Concert Series. "The Golden Age", including a schools concert during the day. Bach arr. Powell - Chorale Prelude "Nun Komm der Heiden Heiland"
Onyx Brass gets in the festive spirit with a selection of seasonal favourites! Onyx Brass play a charity concert for St George's Hospital Kidney Unit. A programme including Handel's "Coronation Anthems" and new music by Tarik O Regan. Light classics, Jazz and music-hall influenced works.